Store it differently with HOMEBOX! Your latest great idea: reorganizing your house to finally get that space you are sorely lacking! Are your cupboards overflowing with things that you don't use every day? Things that you want to keep but don't mind being temporarily separated from? HOMEBOX is the friend that will help you meet your space needs. 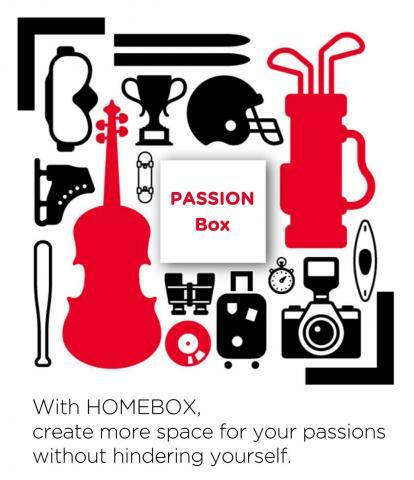 Opt for the PASSION box!